Sugar used to be really expensive so people used carrots instead. That’s how carrot cake came to be. Someone couldn’t afford sugar, so they put carrots into their cake. Seems counter-intuitive now, but back then it was perfectly logical. Turns out that carrot cake is one of the unhealthiest cakes you could eat, even though it’s full of carrots. With all the oil, butter, cream cheese, and sugar (yeah.. this is a modern recipe), it’s pretty bad for you. It’s really tasty, but really unhealthy. It’s a once in a decade type of treat. Even though you could pretty much get rid of your enemies, or at least render them harmless, by feeding them this cake you could also make some friends. It’s one of those things that’s good or bad depending on who uses it, like superpowers. I recommend using the cake for good, but hey, use your best judgement. There’s this debate about what should go inside a carrot cake. Pretty much everyone agrees that carrots should be involved but not everyone is sure about raisins, pineapple chunks, and walnuts/pecans. I like raisins and pineapple chunks in my carrot cake but I’m not such a big fan of walnuts or pecans. Not only because of taste though. I find that when you cut through a carrot cake that has nuts inside they tend to rip the cake and you end up with a really ugly cut. If you really want to use nuts in your cake you can either add them into the batter or you could decorate the cake itself with them. I’d opt for the latter. 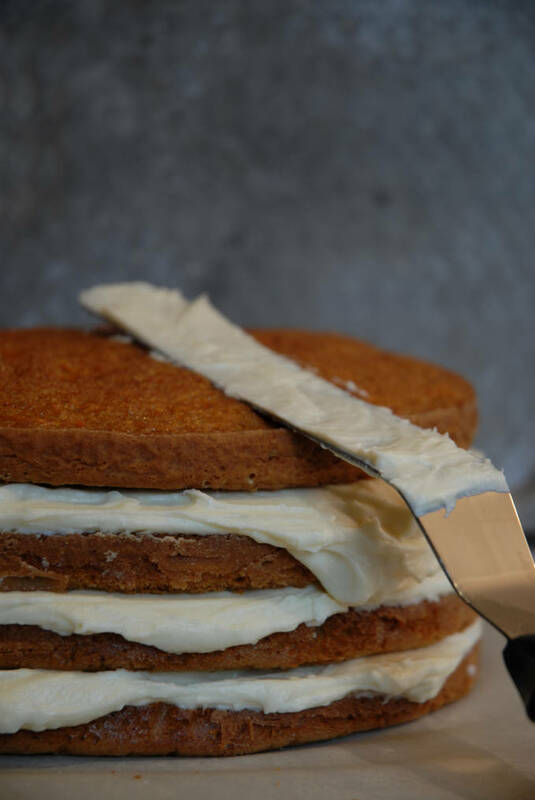 Cream cheese frosting is also important for the perfect carrot cake. More importantly, the ratio of tangy to sweet. I’ve had carrot cakes that are way too sweet and the only way to eat them is to scrape off the frosting. The best cream cheese frosting is adapted to every individual recipe, depending on the sweetness and tang desired. That’s why I have a separate cream cheese frosting recipe for this cake and for my cinnamon bun recipe. Cinnamon buns require more sweetness in the cream cheese frosting to balance the cinnamon flavour while carrot cake needs more tang in the frosting to balance the sweetness from the carrots. 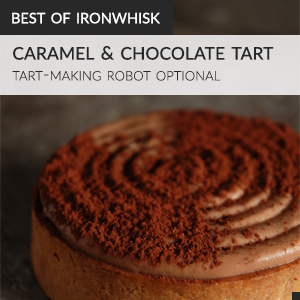 I really hope you try this recipe out. It’s delectable. I’ve tried a few carrot cake recipes but this one is my favourite. It’s dense but also fluffy. It’s sweet but also tangy. It’s perfect. A dense, yet surprisingly fluffy, carrot cake made with chunks of juicy pineapple and raisins. Recipe adapted from Ina Garten. Preheat the oven to 350°F. Butter and flour four round cake pans for a four layer cake or two cake pans for a two layer cake. Place a circle of parchment paper at the bottom of each pan (just to be safe!). Beat the sugar, oil, and eggs together until light yellow. Add in the vanilla and beat a little bit more. In another bowl, sift together the flour, cinnamon, baking soda, and salt. Stir in the raisins and walnuts or pecans, if using. Add the dry ingredients to the wet ingredients. Add in the carrots and pineapple, if using. I mean, if you're using the pineapple. You kind of need to include the carrots for a carrot cake. Mix everything well. Divide the batter equally between the pans and bake for about 20-25 minutes, or until a toothpick comes out clean when inserted into the center of the cakes (note: if you make less than four layers your baking time will increase). Allow the cakes to cool completely in the pans set over a wire rack. Beat together the butter, cream cheese, and vanilla until light and fluffy. Add the icing sugar and continue beating for about a minute or two. Place one layer of the cake on a piece of parchment paper or a tray. Add about a cup of frosting (approximately) onto the layer. Spread over the cake. Repeat with the remaining layers. Use extra frosting to spread over the rest of the cake. I never used to like carrot cake growing up but as an adult I love it, especially the cream cheese frosting. They go so well together. I like my carrot cake without raisins and nuts and so do my kids so it works out perfect in my house! and that’s how Mario Batali likes to sweeten his basic tomato sauce with carrots. I’ve never tried carrot cake, but I’ve heard it’s just like pumpkin, so I should try it out soon! 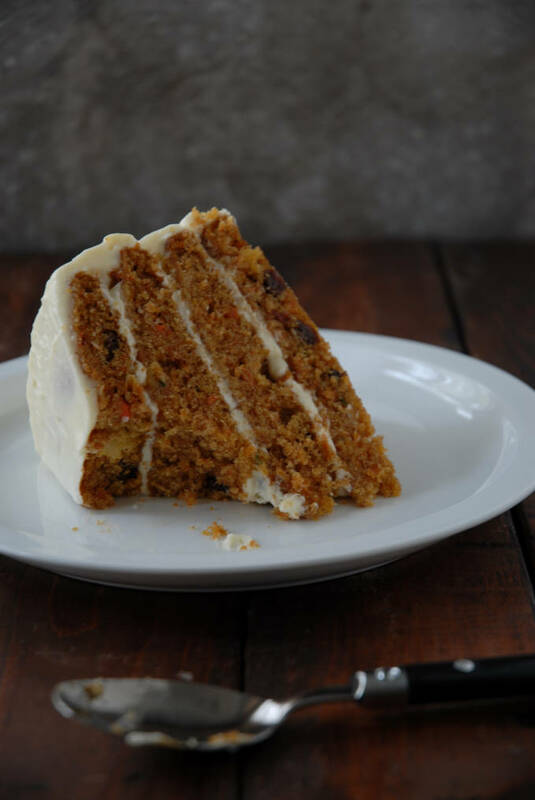 I really liked carrot cake, so I think I need to make a gluten-free version soon. Yours looks very delicious, and is making my mouth water. Love cream cheese frosting, too, the tang definitely makes it. Great I learn something new today. I didn’t know the carrot was a replacement for sugar. 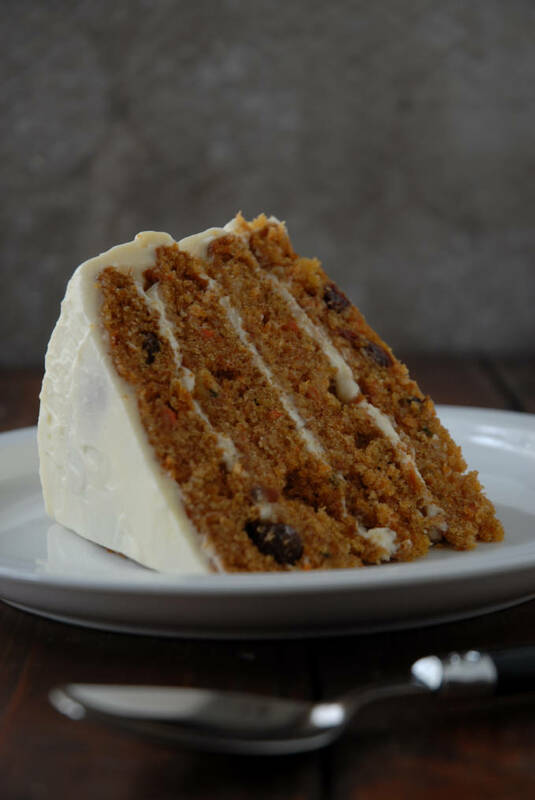 I only thought people want the carrot in the cake to make it moist, or eat more healthy because it’s vegetable! Ha….never in a million years to think of this cake as the unhealthy cake. But as you said, I can certainly make some friends with a delicious like this. :) Thanks for sharing. your cake is gorgeous! i’d love a piece right now! Please forgive me if this is duplicate comment. I was jotting down some ideas for my Christmas menu and decided that I wanted to make a carrot cake. Thanks for the recipe, no need for me to look any further. Ooooohhhh……I just love your thick 4 layers carrot cake with cheese icing…..mmmm. Looks really impressive and tempting. I don;t like pecans and walnuts in the carrot cake too. I have never tried adding pineapple chunks. Would love to try that next time when I make carrot cake again. Thanks for sharing your lovely carrot cake recipe. Hope you have a great weekend. mmm pineapple! such a great addition! Hi Ilan…nice to meet you here…the youngest blogger in baking…and thanks for sharing this recipe…gonna try it for my son birthday soon. hey Ilan, I live in the Netherlands and found your recipe on Pinterest. I just made it this morning and we realllllllllly love your carrot cake! That’s a big change from 3 1/2 cups. I would suggest making half the recipe. I love carrot cakes i will for sure try this one. Ilan, what size cake pan did you use, and do I drain the pineapple? Many thanks! Hi Karen, I used 9 inch pans and I drained and chopped up the pineapple into chunks. Ilan! I made the cake this weekend for Easter. It was a hit!!! A couple things though. Baking time was definitely longer than the 20 – 25 minutes. I made two layers. It took about 40, a least. I also cut back the cinnamon to 1 teaspoon, and added 1/4 teaspoon each of allspice, nutmeg and cloves. Can’t wait to make it again! Thanks for the recipe!!! Glad it turned out well! The baking time is for a four layer cake so that’s probably why. I love carrot cake homemade of course . Why can’t we reduce the sugar and oil with all that lovely fruits and nuts . Unfortunately it won’t be fluffy enough. Sorry!